My PhD thesis is finished! 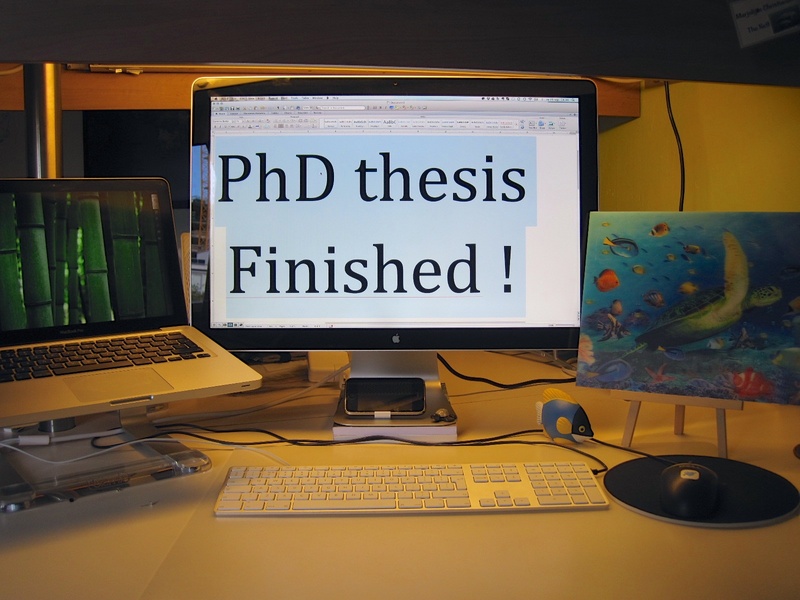 1 Comment on My PhD thesis is finished! After months of radio/blog silence (I did not want to bore you with another photo of my computer screen) I finished the manuscript of my PhD thesis just before the deadline of 1th of October, Woehoe! The last weeks I lived a life comparable to a burrowing shrimp: I lived inside my office, only shoveling the manuscripts over to all my supervisors on a regular basis. I will defend my PhD-thesis titled “Seagrass systems under nutrient loads, hydrodynamics and green turtle grazing – Do green turtles rule the seagrass world?” at the Radboud Universiteit Nijmegen on March 22nd 2013 at 13:00. Now it is time to go on seagrass expedition to Bank D’Arguin, Mauretania.